G3ict believes that governments at all levels and around the world can promote the digital inclusion of persons with disabilities and older persons by adopting effective policies for the public procurement of accessible ICT and an international accessibility standard to support them. G3ict – the Global Initiative for Inclusive Information and Communication Technologies – is an advocacy initiative launched in December 2006 by the United Nations Global Alliance for ICT and Development, in cooperation with the Secretariat for the Convention on the Rights of Persons with Disabilities at UN DESA. Its mission is to facilitate and support the implementation of the dispositions of the Convention on the Rights of Persons with Disabilities on the accessibility of Information Communication Technologies (ICTs) and assistive technologies. 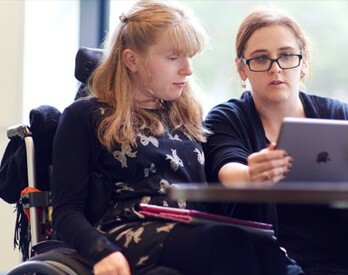 G3ict relies on an international network of ICT accessibility experts to develop and promote good practices, technical resources and benchmarks for ICT accessibility advocates around the world. It is incorporated as a nonprofit organization in the State of Georgia, USA, and headquartered in Atlanta. For more about G3ict and its global work, visit the G3ict website.